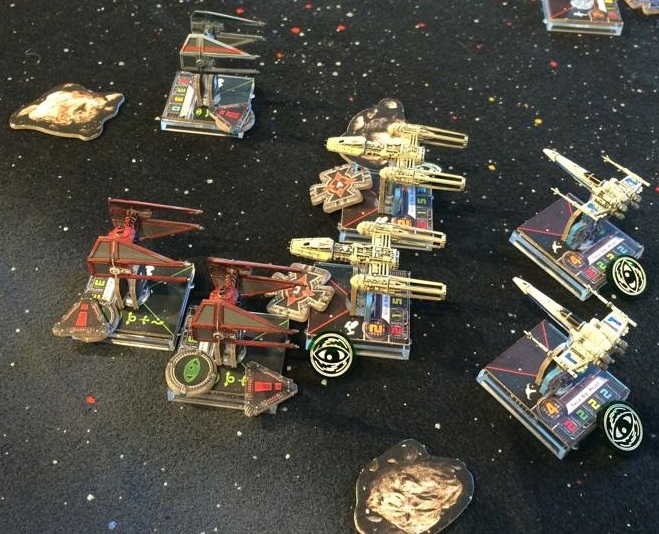 Saturday 4/7 at 1 PM we will be running a multiplayer X-Wing event: Escalation Furball! All players start with a 15 point ship on a single board. If you kill a ship, you get victory points equal to the ship that was killed. The person that lost the ship, gets an additional 5 points to spend on a new ship! So, when you lose your 15 point ship, you bring back a 20 point ship for revenge! First player to get to 100 victory points wins! Make a $5 purchase of store credit to play, winner gets a drink of their choice.